RAPAPORT... Diamond resources at Lucapa Diamond Company’s Lulo alluvial mine in Lesotho are 90% higher than it originally estimated, according to an independent valuation. Lulo has 80,400 carats remaining in the mine, according to a December 2018 study by external consulting company Z Star Mineral Resource Consultants. That figure was reevaluated from a previous Lulo resource estimation conducted in May 2017, which listed the mine’s total contents at 42,200 carats. Z Star also updated the average price for Lulo rough to $1,420 per carat, a 17% improvement versus the previous estimate of $1,215 per carat. 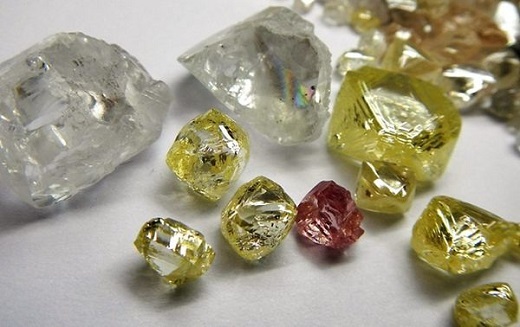 “The near doubling of in-situ resource carats in the upgraded Lulo diamond resource supports the Lulo partners’ plans to increase alluvial production in 2019,” Lucapa CEO Stephen Wetherall said.